In our hyper-connected world, using social media tools to promote your business cannot be understated. 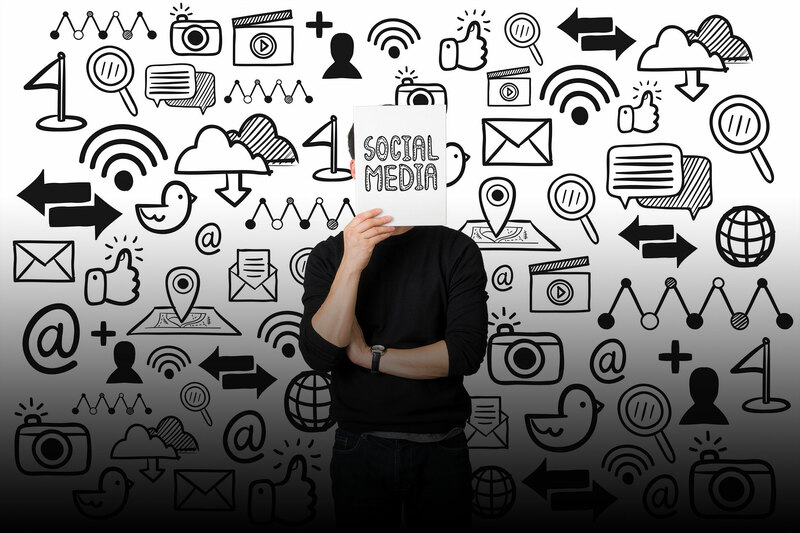 While at first it can feel overwhelming, taking the time to learn how to use social media to boost your visibility online can go a long way to helping attract more customers. The number of Canadians using social media is growing year-over-year. On that note, the United Food and Commercial Workers union found Ontario is the most connected province with an estimated 67% of Ontarians using social media platforms. Additionally, the results of Ryerson University’s “The State of Social Media in Canada 2017” report states 94% of Canadian adults have at least one social media account. When weighing the pros and cons of using social media as part of a holistic marketing strategy, the most important factor to bear in mind is the opportunity they provide. Customer service excellence. You’re in the hospitality business. You know better than anyone the importance of ensuring your guests or visitors have outstanding experiences. When you delight your customers, they’re inclined to share the experience online, and that can drive repeat business and referrals. Social media is vital to interacting with your customers in real-time (read: instantly). When someone tweets at you or posts a comment on your Facebook page, they expect to be acknowledged quickly. And since people are inclined to share a lot about themselves and their experiences on social media channels, you can learn a lot about them, which in turn, can help you find your target market. Knowing the competition. Not only is understanding how your competitors and other companies use social media a great way to learn, but it also provides you with a view of what digital marketing campaigns they’re running. Auditing your competitors’ social media presence can furnish you with the insights you need to figure out how to better promote your business. After all, everything your competitors are doing on social media is public. Why not take advantage of it? Driving recruitment. Hanging a “help wanted” sign in your window can still be a useful recruitment tactic, but it’s going the way of the square wheel. Whether you’re seeking seasonal or permanent workers, using social tools to encourage people to visit your website, view your job ads, and submit their resumes will yield higher results. That gives you a broader talent pool to draw upon and find the right folks to join your team. Which Social Tools Are Right for Your Business? Instagram. This photo- and video-sharing platform makes storytelling personal and straightforward because it’s visual. That means you can excite people and stir their emotions with effective posts. You can also use this platform to host a live video broadcast of an event you’re hosting. For instance, give your followers a behind-the-scenes look at your business by showing them how your team gets ready to host a big event or prepares for a seasonal activity. Facebook. Despite some of the challenges Facebook has faced in recent months, creating a Facebook business page is still a wise move. Facebook remains one of the most popular social platforms in North America, and for businesses, it delivers all the things other platforms offer: interacting with your target audience, video- and photo-sharing capabilities, running special promotions, analytics to gauge how effective your posts are and more. YouTube. Did you know that YouTube is one of the world’s most popular search engines? It is (and it’s owned by Google). Short, one- to two-minute videos showcasing your venue, products, and services as well as customer experiences and events presents you with an easy way to highlight all the great things your business does. And your videos can be shared on Facebook, Twitter, and elsewhere. Twitter. The perfect real-time communication tool, Twitter can serve as your business’s customer service channel to interact with and respond to them. Be careful to avoid using Twitter as solely a platform to make sales pitches. Instead, use it as a conversation tool to attract visitors to your website. Pinterest. Not only is this photo-sharing platform far more popular with women than men, but it’s also highly popular across generations from Millennials to Gen Xers to Boomers. And lest we forget: women are by and large the decision-makers in most households when it comes to making spending decisions. Social media platforms are not the end-all, be-all of your business’s marketing and promotion strategies. But by using them in conjunction with other resources and initiatives as part of your overall plan, they can up your efforts to grow your business’s influence.